CIA World Factbook - Iraq. Central Intelligence Agency. U.S. Relations With Iraq. U.S. Department of State. Iraq Page. U.S. Department of State. Iraq Country Study. Library of Congress. U.S. Embassy - Iraq. U.S. Department of State. Travel Warning for Iraq. U.S. Department of State. Medical Care and Lawyers Care in Iraq. U.S. Embassy - Iraq. Iraq Investment and Reconstruction Task Force (IIRTF). Iraq Country Analysis Brief. U.S. Department of Energy. Latest Iraq News. Radio Free Europe/Radio Liberty. Country Briefings - Iraq. Economist.com. "War in Iraq". Washington Post. "Iraq and the IMF". International Monetary Fund. 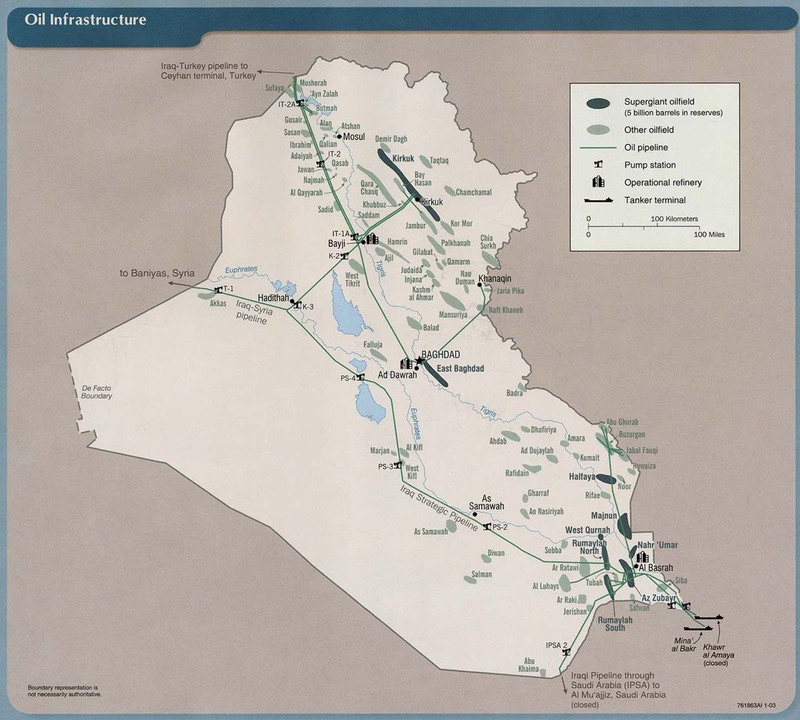 Iraq Oil Infrastructure Map. University of Texas.